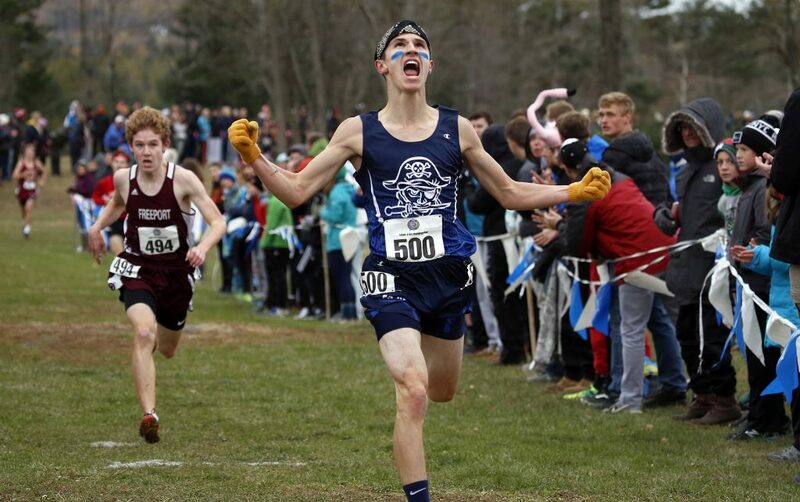 Fryeburg's Alfie Walker celebrates as he cross the finish line just in front of Freeport's Martin Horne to win the Class B boys' cross country title on Saturday in Belfast. Walker finished in 16:18. Cape Elizabeth's Lila Gaudrault runs to victory in the Class B girls' cross country championship on Saturday in Belfast. Gaudrault finished in 18:42. 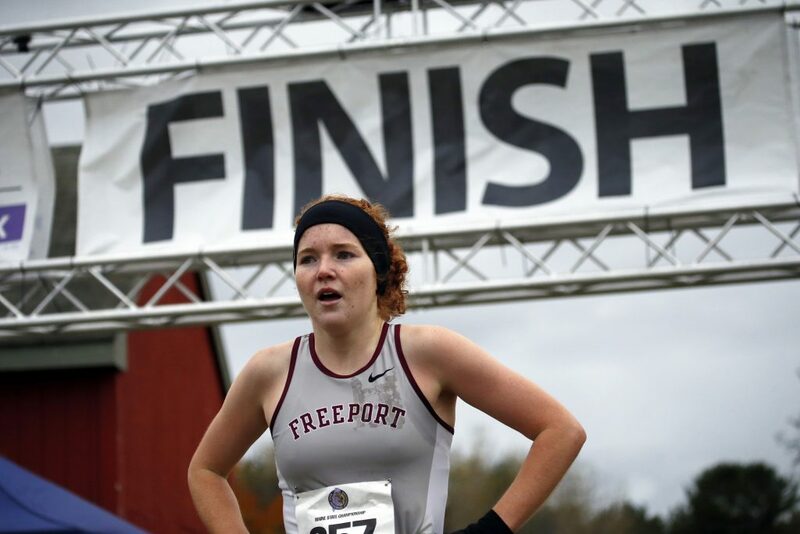 Freeport's Lily Horne catches her breath after finishing second in the Class B cross country championship meet Saturday in Belfast. Horne finished in 19:19. 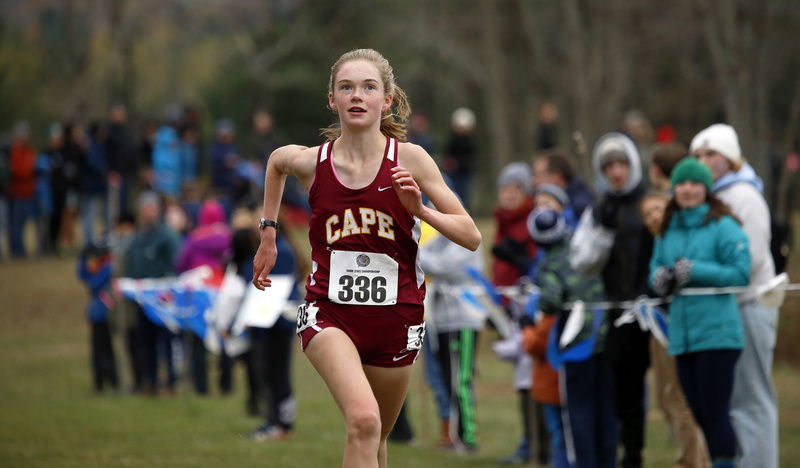 Lila Gaudrault of Cape Elizabeth won the race in 18:42. 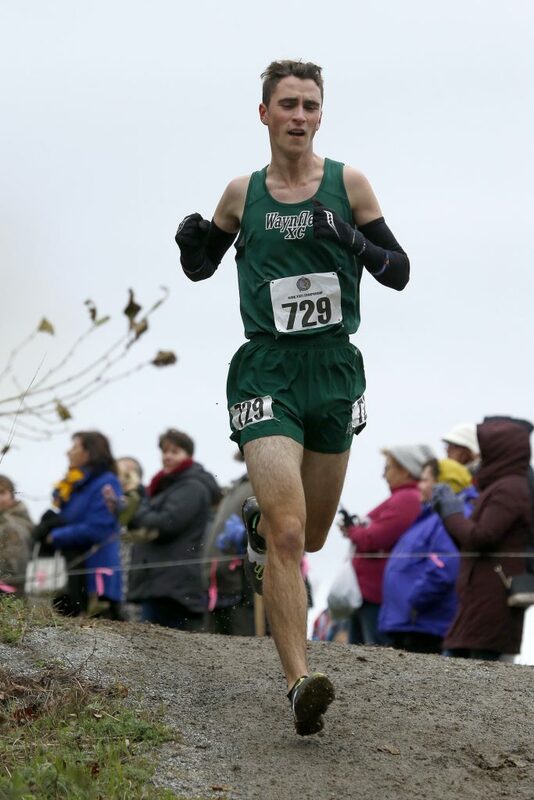 Waynflete's Henry Spritz maintains a sizable lead into the final 1/2-mile of the course during the Class C cross country state championship on Saturday in Belfast. 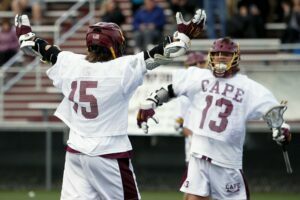 Spritz won the race in 17:03. 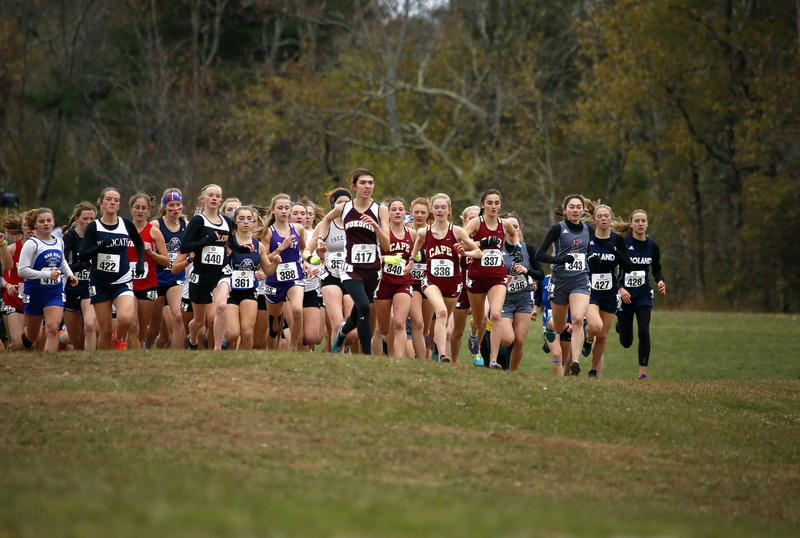 Runners take off from the start line during the Class B girls' cross country championship on Saturday in Belfast. Maine Coast Waldorf's Olivia Reynolds, right, the eventual winner of the Class C cross country championship maintains a tight lead into backstretch on Saturday in Belfast. 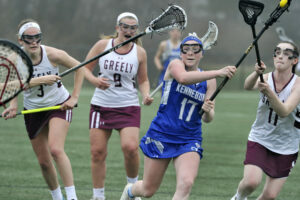 At her heels is Orono's Erin Gerbi, center, and Maranacook's Molly McGrail. Reynolds finished in 19:05. 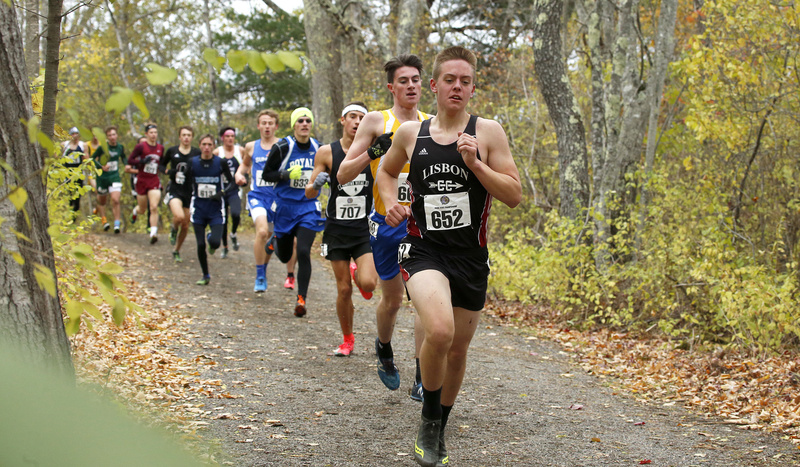 Lisbon's David Schlotterback leads the pack during the Class C boys' cross country state championship on Saturday in Belfast.